PHANTOM POWER: What You Need to Know! With the release of the new Amulet M PhantomTM, this is a good time to talk a little about phantom power, as the concept may not be a familiar one, especially as it applies to powering something other than a microphone (in this case, a sophisticated internal guitar preamp). Phantom power was developed in the mid-1960's as a way to remotely power microphones. 48 volts is applied to the signal wires and picked off inside the microphone to supply power to the internal electronics. The Amulet M Phantom uses this same concept to remotely power our sophisticated preamp inside your acoustic guitar without the use of batteries. there is less hardware, and therefore less weight added to the guitar: phantom power means no battery, no battery bag, and a lighter weight cable harness to the volume and tone controls. There's never any worry of batteries failing; your instrument will always operate at peak performance all the time via phantom power. The output of the guitar is now a user-adjustable, low impedance, balanced professional line level signal. and all with NO BATTERIES! Connection to the guitar is made with a 1/4" TRS to male XLR cable. These are readily available, and our custom shop offers a very nice one made with premium CanareTM cable and rugged connectors that are perfect for this application, all at a very reasonable price. The Amulet M Phantom is specifically designed to work with 48V phantom power; it will not work with systems that have lower phantom power voltages such as 24 or 12 volts. While this might be fine for some types of microphones, it will not power the Amulet M Phantom correctly, so be sure and check the manufacturer's info for any unit that you are considering for use with our system. 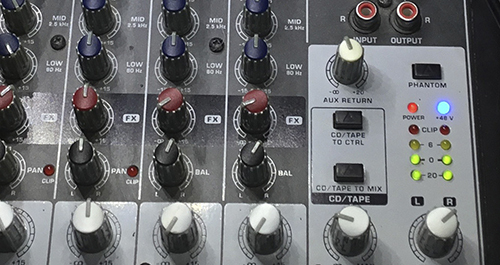 Most modern mixers have 48V phantom power built into their microphone preamp channels. This means that you can plug the Amulet M Phantom directly into the mic input of your mixer, turn on 48V phantom power and play. 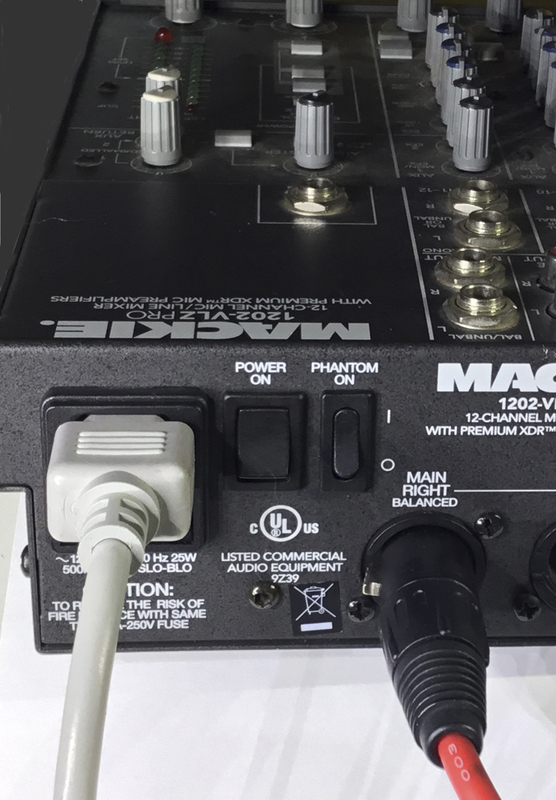 If you're not using a mixer or other device that has the necessary phantom power available, there are a number of low-cost phantom power supply units that are available from a variety of sources. These typically have an input and output XLR connector, and internal electronics to supply phantom power. A bonus of using a standalone phantom power supply is that you can treat the XLR output just as you would an active direct box. Since the output is a balanced low impedance signal, you can plug it directly into an XLR stage box or any other XLR input. 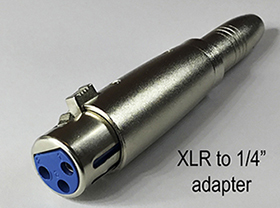 If you need a 1/4" unbalanced output to interface to your amp, pedalboard, or other equipment, an inexpensive XLR to 1/4" adapter can be used to easily provide this type of output. The Rolls PB23 phantom power supply is an excellent unit that is powered from a 12V DC adapter. Its rugged steel case and small size makes it especially attractive for guitarists who use a pedalboard. This is a high performance medium priced supply, typically available for about $40. The Sterling PHP-1 is another excellent phantom power supply. It shares many of the same features and attributes as the Rolls PB23 and uses a 9V DC adapter. It's also available for around $40. The Behringer PS400 has a somewhat larger case but is still very ruggedly built. It is powered by a 12V DC adapter. Although it can't supply quite as much power as the Sterling or the Rolls, it can more than adequately power the Amulet M Phantom. This is a medium performance supply, and can be had for around $25. The Ohuhu phantom power supply is a great value. They can often be found for less than $20 and this includes free shipping and an XLR cable in the bargain. The case of this particular unit is made from extruded aluminum and is very rugged (some other manufacturers use plastic cases, so be careful and read over all available information when choosing a unit). The internal circuitry is fairly sophisticated and will provide more than enough power to power the Amulet M Phantom. This unit and many others like it are usually powered from an 18V AC adapter. One potential downside is that these AC output adapters are going to be harder to replace in the future because they're not as energy-efficient as DC adapters and current legislation dictates that these types of linear transformer adapters will be slowly phased out in the not-too-distant future. For the value-minded guitarist, however, these supplies provide an excellent and inexpensive way to power the Amulet M Phantom.